Some of you may already know Frances who works in the shop every Friday afternoon, from 1-5.30pm. This provides her with the opportunity to “connect with people with health needs and issues” and assess whether further therapeutic treatment is required. 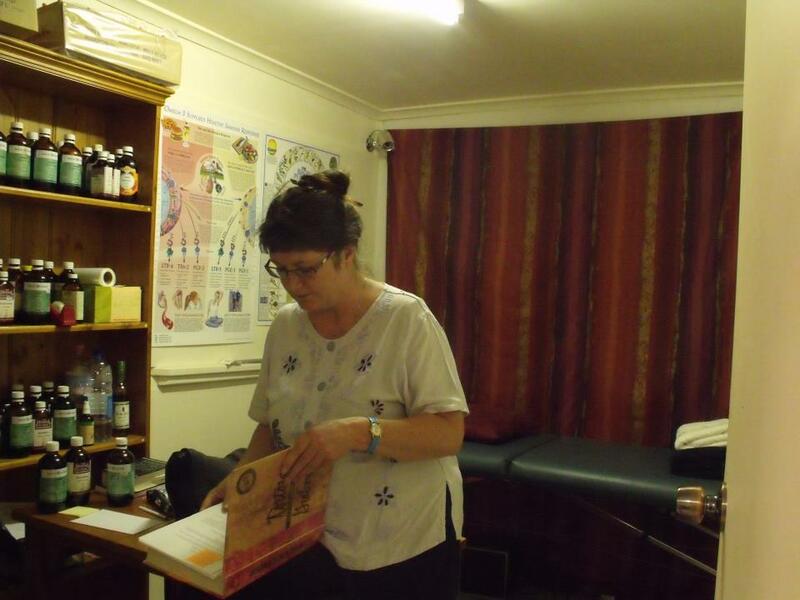 Frances graduated from the Adelaide Traditional College of Complementary Medicine in 2000 with an Advanced Diploma of Herbal Medicine and later returned to lecture in herbal manufacturing and Bush Foods and Medicine for the Faculty of Western Herbalism. Prior to that in 1992 she completed accredited courses in Reflexology and Reiki healing. During her 25 years in Adelaide she also lectured at the Taoundi Aboriginal College on Bush Foods and Medicines for the Tourism Certificate students. She has published various articles in the journal of the Australian Society For Growing Australian Plants. Frances has been practising as a traditional natural therapist for over 11 years. She was inspired by her close friend Bev Lane, a traditional herbalist who grows her own medicinal plants but is passionate in her own right about plants and biodynamic growing that “encourages life force without hurting the earth” and “combines mind, body and spirit”. Frances has her own botanical garden and runs courses in making natural cosmetics and medicines. She also has what she calls “tea parties”. These are sessions where groups are given notes and running commentary on selected herbal teas which are prepared straight from Frances’s garden and sampled by the group. By her own admission she is a traditional herbalist who believes in the Galenical (whole plant) and physio-medical / energetic properties which enable a person’s body to heal itself. The following is a basic herbal tonic created by Frances to strengthen and improve circulation and the function of the major and minor organs, improve the body’s response to stress and to uplift one’s spirits. Doses are prescribed by Frances. Dandelion For the liver, detoxes it and improves digestion and bowel function. Hawthorn Improves circulation. Strengthens blood vessel walls. Lowers blood pressure. Prickly Ash Improves circulation. In combination with Hawthorn it normalizes blood pressure. Licorice General tonic – i.e. it improves the function of major and minor organs, feeds the adrenal glands and improves the stress response. Aromatic To harmonise the mix and bring it together, making the herbs work more effectively. This could be: ginger – improves lung chi (circulation and movement of energy). Herbal consultation or reflexology massage – ONLY $75 for initial consultation if you are a Queanbeyan Health Foods customer. Normally $90. Distance Reiki $150 including assessment and follow up consultation by phone. Reiki – ONLY $60 normally $90 . Further enquiries can be made by contacting Queanbeyan Health Foods o6 02 6284 4428.